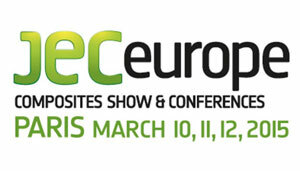 Delta Vigo will attend to JEC Europe this year for the first time, the the most important Fair devoted to composites in Europe that will be held in Paris from March 10th to 12th. During the Fair, Delta will present the latest developments made by Delta Carbon Fiber Technologies, the business division founded in 2013 and aims to manufacture carbon parts by automated / robotic manufacturing systems. The developments to be presented at JEC are focused on double curvature panels with integrated stiffeners and manufactured in one-shoot process, and also focused on frames, where Delta technology is able to achieve repeatability, reliability and accuracy. Delta Vigo can be visited at stand G76 in Hall 7.3.